The AWNA is a not-for-profit trade association representing over 100 member newspapers throughout Alberta and the Northwest Territories with a combined verified circulation of over 740,000 copies per week. AWNA provides education opportunities for members through workshops, encourages excellence through the BNC awards program and the exchange of industry information through meetings held each year; raises awareness of our medium among advertisers and enhances the industry's profile; and takes industry issues to various levels of government. For more information, visit www.awna.com. 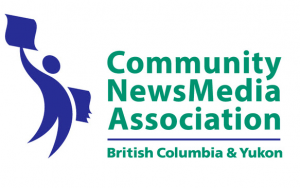 The BCYCNA is a non-profit membership organization representing community newspapers throughout British Columbia and the Yukon. We’ve existed as an organization since 1922, and today we boast a membership of 98 newspapers, with a combined readership of almost 2 million. The smallest newspaper circulates less than 1000 copies each week, and the largest, more than 100,000. For information about our service and how you can become a member, visit bccommunitynews.com. Business Wire, a Berkshire Hathaway company, is the global leader in press release distribution and regulatory disclosure. Investor relations, public relations, public policy and marketing professionals rely on Business Wire to accurately distribute market-moving news and multimedia, host online newsrooms and IR websites, build content marketing platforms, generate social engagements and provide audience analysis that improves interaction with specified target markets. Business Wire is a trusted source for news organizations, journalists, investment professionals and regulatory authorities. Since 1919, the Manitoba Community Newspapers Association has been meeting the needs of community newspaper publishers throughout the province. Today, our mission continues to be one that is committed to facilitating the future of community newspapers in Manitoba by being a "value-adding" member services organization. Our association is dedicated to both effectively meeting and proactively anticipating the needs of our members. For information about our services and how you can become a member, visit www.mcna.com. Newspaper Toolbox is a monthly subscription to money-making ideas for newspapers across North-America. With our interactive planning tools, you can plan the perfect sales calendar and choose from thousands of ready-to-sell pages, ready-to-sell ads, ad campaigns, reader contests, special sections and much more. Toolbox also offers an impressive editorial library that any editorial staff can use for all their editorial needs. We offer ready-to-use promotional material, selling tools for sales teams as well as regular training for your sales staff. Our service is the go-to tool for newspaper professionals who want to save time, money and bring their sales strategies to a whole new level. 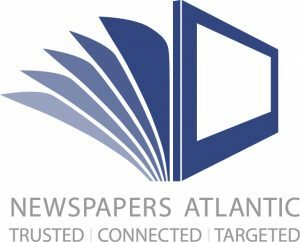 Newspapers Atlantic is an initiative of the Atlantic Community Newspapers Association (ACNA). ACNA is a non-profit membership organization that represents over 40 newspapers in Atlantic Canada. By working with industry stakeholders, Newspapers Atlantic provides relevant services to all newspaper members, while increasing the profile and effectiveness of the newspaper industry in Atlantic Canada. For information about our services and how you can become a member, visit www.newspapersatlantic.ca. Founded in 1950 and based in Toronto, the Ontario Community Newspapers Association is a non-profit industry association comprising roughly 300 member newspapers located throughout the province. We are dedicated to helping community newspapers prosper, by advocating for favourable government policies; supplying members with tools, support and information about the industry and the market; providing the means for members to work together to resolve issues to improve the competitive position of the industry; and promoting and enhancing the image of the industry among readers and other important constituencies. For information about our services and how you can become a member, visit www.ocna.org. PageSuite's market defining digital edition software and Smartphone and Tablet Application apps maximises publishers’ content, providing replica and interactive edition solutions to suit every need and budget. Our global clients increase revenues through subscription, sponsorship and advertising strategies, whilst cutting costs with automated publishing, scheduling and edition email tools. Trial our single portal, cross platform publishing today for free, by emailing or calling our team. PageSuite is the proud digital newspaper provider to News Media Canada—please get in touch for special member rates. The Saskatchewan Weekly Newspapers Association was established in 1914. Our job is to offer a convenient and cost-effective way to buy advertising, place classifieds or issue a press release to our member newspapers all across Saskatchewan and the North West Territories. Our 72 member newspapers not only reflect life in the communities they serve, they are a central part of Saskatchewan’s and the Northwest Territories’ unique lifestyle. Every week our member papers connect with over 500,000 readers across Saskatchewan. For information about our services and how you can become a member, visit www.swna.com. Vividata is Canada’s authoritative source of cross platform audience data, print and digital, for magazines and newspapers. The single source survey also provides a comprehensive media and product usage database. Vividata delivers a timely picture of consumer behaviour and market changes at the national and local market level. This research, conducted through a probability-based sample, reports on 140+ media publications with a rolling 52-week survey, released quarterly.